Can Blockchain Remove the RoadBlock to a Better Democracy? Here’s a thought-provoking blog submitted by Jitendra Rathod, newsletter contributing editor. After the end of World War II up till the 1970s, experts and governments alike had immense faith in centralized systems of governance and economic management. This was mostly owing to the success of centralized governance in wading of the Great Depression following the guidelines of the economist John Maynard Keynes. However, after the oil shock of the 1970s, all this changed and democratic decentralization was perceived to be the panacea which could solve most developmental, political and social problems. Moreover, this idea found its way into most of the literature produced by the developmental organizations and other international bodies including the United Nations. Soon decentralization, both in terms of political and economic matters, was the bar by means of which the success of governments and societies was to be measured. As it turns out, this approach has proved increasingly efficient in upholding the principles of democracy and liberalism; especially the principles of participatory politics, and that of equity (i.e., equal opportunity) in the social sphere. However, in the economic domain, much equity has not been induced through democratic decentralization. The blockchain technology inherently is based on the principles of decentralization. It is such a technology which when applied to the economic processes and public service delivery can usher perfect infallible equity which is lacking in the present models of decentralized democracies. Blockchain systems can help avoid centralization of data which has turned into present-day capital. By preventing this precisely, it ensures that no single authority is capable of controlling the flow of data or benefiting from it singly without sharing the gains from them. Moreover, such a decentralized aspect is ensured through smart contracts, making it fool-proof. Smart contracts are digital contracts which are time stamped documents and are cryptographically created. These contracts cannot be tampered with manually once they are created and the terms of the contract are executed only when the predetermined criteria which were coded initially, are executed. Therefore, by using these contracts instead of traditional documents in diverse spheres of public service delivery, ranging from elections to economic opportunities like license distribution, registration of properties among others, these systems can be made more efficient. Land records registration systems can be significantly benefited from the introduction of blockchains so that fraudulent claims can be avoided. Even various forms of corrupt practices related to the status of land holdings can be permanently recorded. Such methods will have a significant impact on the overall rule of law. Other services like tender distribution can also be shifted to smart contracts, ensuring the right criteria are met before handing the tender to any particular applicant. The financial system is particularly encumbered with monopolistic tendencies, which, in turn are detrimental to democracy as they lead to different kinds of cronyism. It not only undermines the free market, which is indispensable for the functioning of the democratic system, but also affects the decision making process in other spheres; especially the fiscal and monetary policy decisions, apart from environmental guidelines, etc. Cryptocurrencies, because of their decentralized nature, can find their way through such fiscal traps. These digital currencies are beyond the reach of any particular financial heavyweights who can monopolize on them. Most crypto tokens are accumulated in the hands of dedicated community members who have a significant stake in the working of their respective ecosystems. Such practices can enhance the functioning of the free market economy, creating equal economic opportunities for all deserving individuals, thus strengthening the basic democratic structure by making the whole system more inclusive. The crypto-based peer to peer microlending platforms are an example of this. The decision-making processes will become more democratic within the firms and guilds (among others), and eventually, that will be reflected within society at large. Moreover, the society, by means of the technology, does not have to be restricted within the state boundaries. The technology can help expand democratic institutions beyond national borders making decentralization a global phenomenon, not only rendering national coercive power monopolies irrelevant but also the global governance bodies like the UN or the World Bank. However, that does not necessarily have to mean anarchy. In a society where everybody gets their say, everybody would actually push for peace and stability rather than chaos, because that would be in their mutual interest. This would be a kind of absolute and perfect democracy, the type which our Founding Fathers had envisaged. Expanse is a vision that is synchronous with the loftiest ideals of democracy that is true to its core beliefs and just not in name. Expanse is not just a blockchain to create life-altering dApps, but is an ecosystem that seeks to uphold the epitomes of everything that we, as humans, have achieved in these thousands of years. At Expanse, we seek to create an ecosystem that does away with everything that is wrong with the world – our governance models and our resource distributions systems, especially. Through disruptive technological advances, we have envisioned a world that is free from virtual shackles that bind and limit us and to empower every human being to utilize his or her boundless potential to create a world that is worth living in. With the blockchain technology, we can take all questions directly to the people and would be able to ensure that all the decisions are implemented according to the pre-set norms without any bias. Likewise, it can also work at the smallest units of governance. Therefore, a uniform standard would be maintained in terms of credibility and efficiency in the whole system of human governance. And what’s more, the credibility would be ensured from the bottom up. 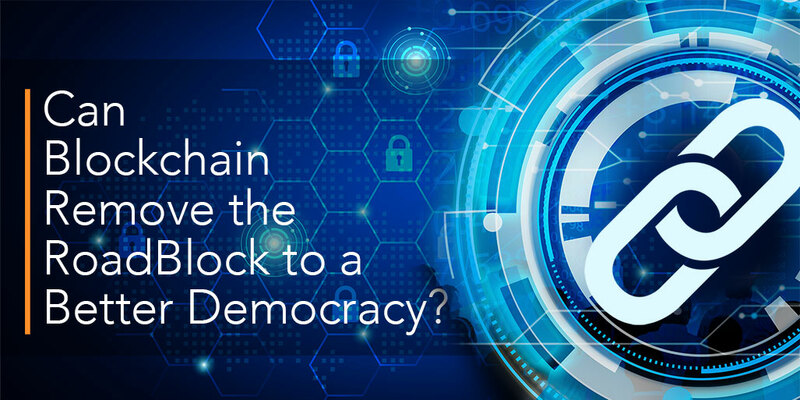 Blockchain technology in itself is the true embodiment of democracy. Its unhindered use will bring about the true utilization of democratic principles that will create a more inclusive society.